ACTS' annual event; Operation Turkey, is now over, and our organization is very happy to share the number of families we were able to feed this Thanksgiving. However, before we do, we would like to thank all of those who supported our mission of eliminating hunger during the most recent holiday. Donors who gave generously included individuals, churches, civic groups, and grocery stores, and a big thanks goes to Prince William County Schools and the Boy Scouts for their dedication during the event. "Our organization made it work. 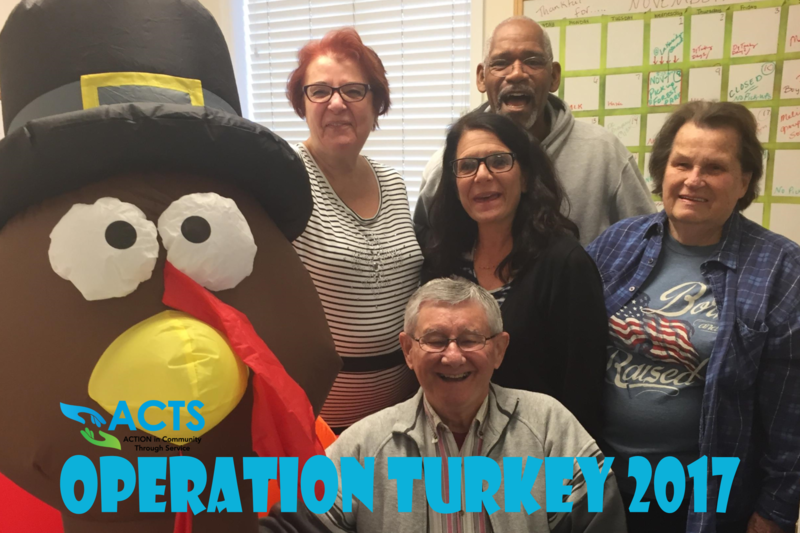 ACTS' Emergency Assistance Team [who registers families and individuals for Operation Turkey] was amazing. Throughout the month of November, they were seeing up to 5 families at a time! Our volunteers worked their tails off, and went above and beyond the call of duty. 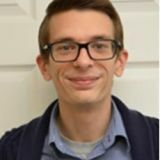 Their assistance with the School Drive, Tamika Martin's [ACTS' Volunteer Coordinator] scheduled groups on the weekends and Ben Sheedy's [ACTS' Maintenance] assistance with the Boy Scouts helped me keep track of what was needed. Everyone remained at their stations to keep the pace with positive attitudes and grateful hearts! I'm still embracing the moment...a lot of work was accomplished through many hearts and hands. I also love our Volunteers...couldn't have made it though without them!" With the combined efforts of our community, staff and volunteers, 1,083 Operation Turkey Bags along with 1,083 regular bags of food were distributed. This means that 783 families were assisted is total. This amounts to 1,379 adults and 1,123 children. While this number is down from the 818 families that were served last year, we lost two full days to coincide with Thanksgiving.The newest addition to this event was to add Toiletry Bags for those that needed them, and during Operation Turkey, 783 bags were also given out. In total, 60,135 pounds of food were distributed in 11 days. If you would like to help us reach even more families next year, ACTS' End of Year Campaign is under way right now. Your financial contribution will allow us to continue to grow all of our current programs as well as our Hunger Prevention Center. This program is vital to feeding our neighbors in Prince William County because so much food that is donated to ACTS has to be disposed of as our Food Pantry does not have the means to keep it fresh. We aim to serve healthy and fresh produce, meats, dairy items and more to those that would otherwise go hungry, and by donating to ACTS, you allow us to make that happen. To contribute to our campaign, please click the link below, and thank you for your support during Operation Turkey!